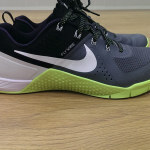 Like running? Fancy trying it with fire, lots of mud and barbed wire throw into the mix to spice it up a bit from your average and mediocre road run? If so then the Reebok Spartan Race is coming to South Wales on 21st June and you can get £20 discount on the entry fee with Livingsocial. Think Mens Health Survival of the Fittest on steroids The Reebok Spartan Race had 130 events in 15 countries and 6 continents in 2014 and is taking the world by storm for those bored of a couple of laps around the local park and looking for an adrenaline fuelled sweat fest. The Welsh Leg of the Reebok Spartan Race comes to Crickowell near Abergavenny on 21st June 2015 and you can get a discount race entry this week on Livingsocial so head over there now and save some pounds so you can put it towards caring up and a well deserved pint after the event at one of the many local country pubs dotted around Abergavenny on the way home. Just remember to bring a spare set of shoes and clothes because you will sweat, you will get wet, you will get dirty and you might shed a few tears and a bit of blood along the way too! There are two races with the Spartan 5km sprint on 20th June June but you don’t want to do that do you? Why give it 50% of effort when you can do the 13km Spartan Super race on 21st June over secret obstacles thrown at you love the coarse of the race including mud, fire and barbed wire. 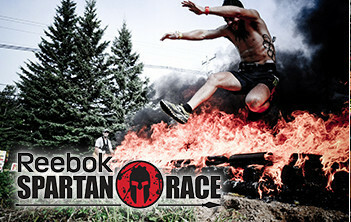 Get your Reebok Spartan Race discount entry for the Welsh leg of the tour here at LivingSocial.